I’m such a book Mom. From the minute my daughter was born, we have flooded her with books. 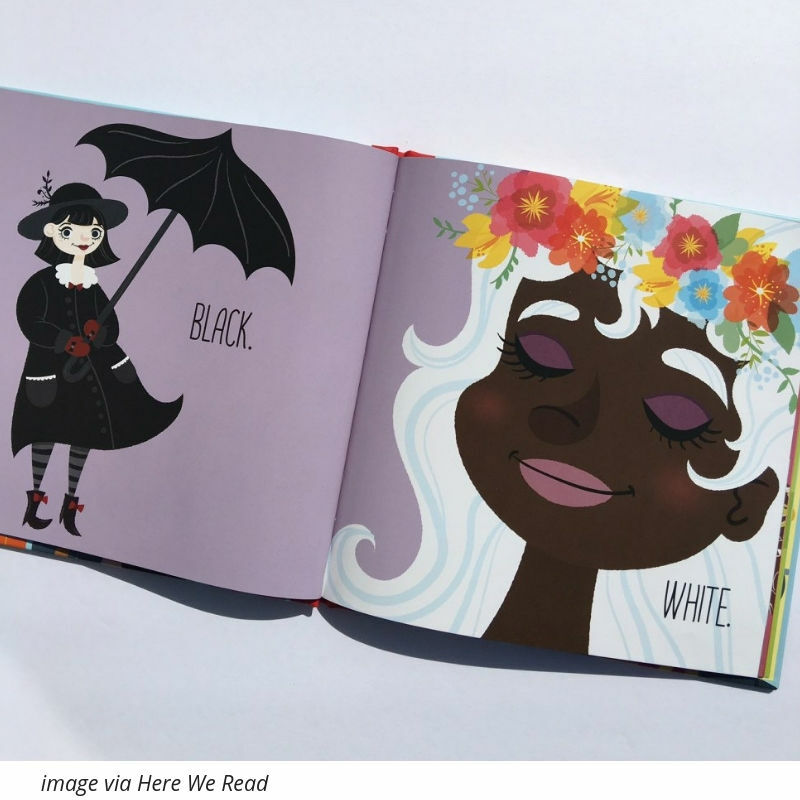 Our book obsession is two-fold, really – we like to make reading and learning a part of our kiddos everyday life, but they also are so incredibly useful when it comes to teaching her the tough stuff, like race, tolerance, and activism. With Martin Luther King Jr. Day coming up, we’ve started talking more about who he was, what he was, why he matters and why we should care about all of those things. It’s funny how “aware” you think you are until you have to start answering questions from an almost 5-year old. It makes you (well, at least it made me) realize, I have no clue how to provide answers, like real answers about the tough questions she’s asking (oh, hey there White privilege). There are so many things I don’t know about the civil rights movement and other important times in history that impacted and continue to impact the way we as a society view and interact with other races. Books help. Especially with the factual stuff – the stuff I have either forgotten or ignored or just plain bypassed because it didn’t directly impact me (insert palm against forehead here). Parenting has taught me so much about what I as a grown-up still need to learn too. And, I want to make sure I provide my daughter the tools she needs to be her best self. Sure, we’re teaching her compassion and kindness and love and the importance of standing up for yourself and others BUT, arming her with knowledge and facts will only make her a better advocate for kindness and change as she grows. We are not a family that views the world as color blind and therefore it matters to us to teach her all the things (even the tough stuff). Okay, so back to the books. We rented a few books from the library and are eager to continue teaching her through other awesome reads. I’ve scoured the internets and found a bunch to get us started and thought I’d list them here for other parents who wish to do the same. ROSAS BUS. 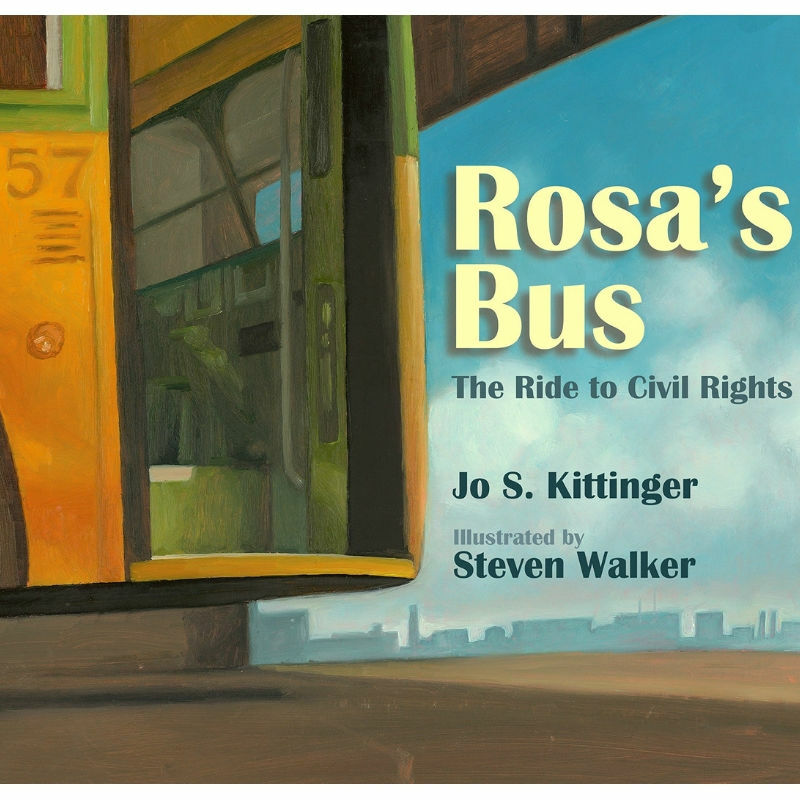 THE RIDE TO CIVIL RIGHTS. We’ve read this one. It’s a great little story about the Bus (and its Journey) but dives deep into details about what life was like back then, how an entire row of black men, women, and children had to stand (and stay standing) for just one white person who needed a seat. How Rosa Parks made a stand (by staying seated), how Martin Luther King Jr. started a movement and how that protest lasted 381 days creating change. 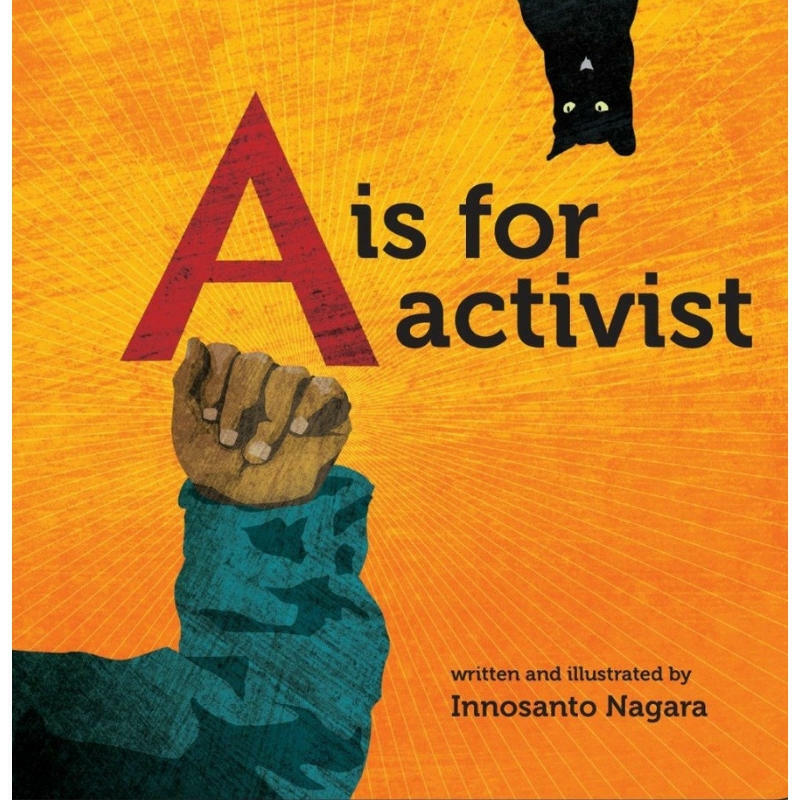 A IS FOR ACTIVIST A is for Activist uses the ABCs to teach concepts to kids – words like activism, justice, human rights, protests, and freedom. I heard it has some complex words in there which you can choose to skip or hit head-on. Looking forward to purchase this one so we can read it on repeat. 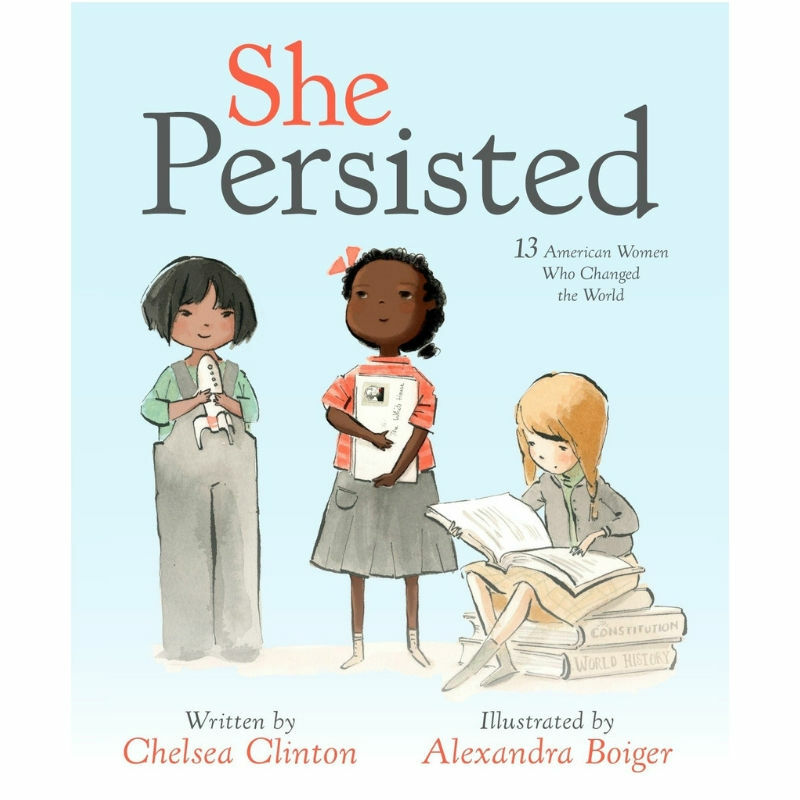 SHE PERSISTED: 13 WOMEN WHO CHANGED THE WORLD We own this book and have read through it a couple of times. Be prepared to answer tough questions about various topics on this one! Great book. Really great for starting conversations. 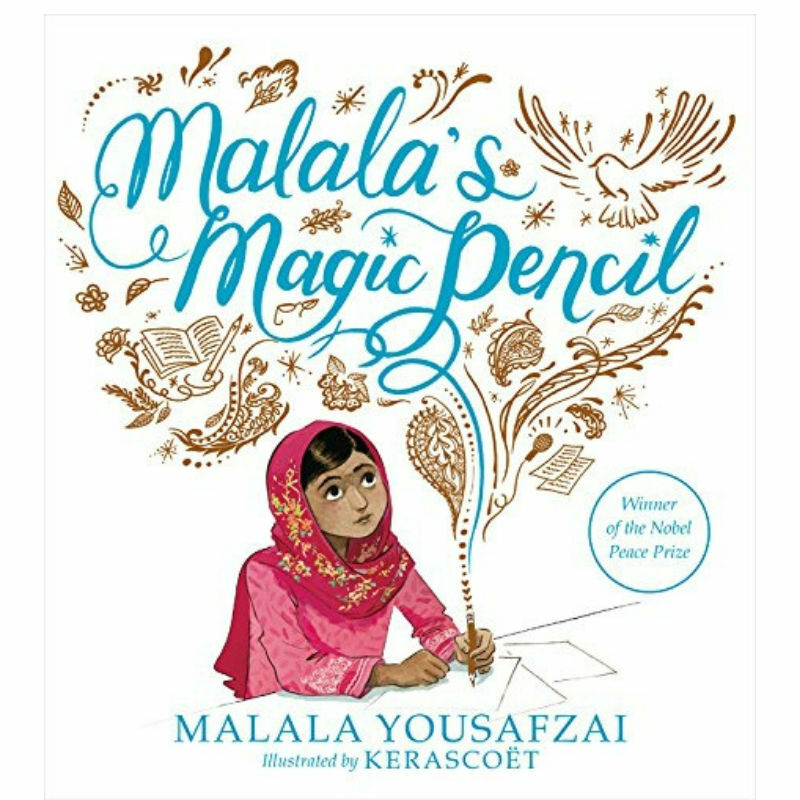 MALALA’s MAGIC PENCIL “This is a wonderful read for younger students that will also provide insight and encourage discussion about the wider world. 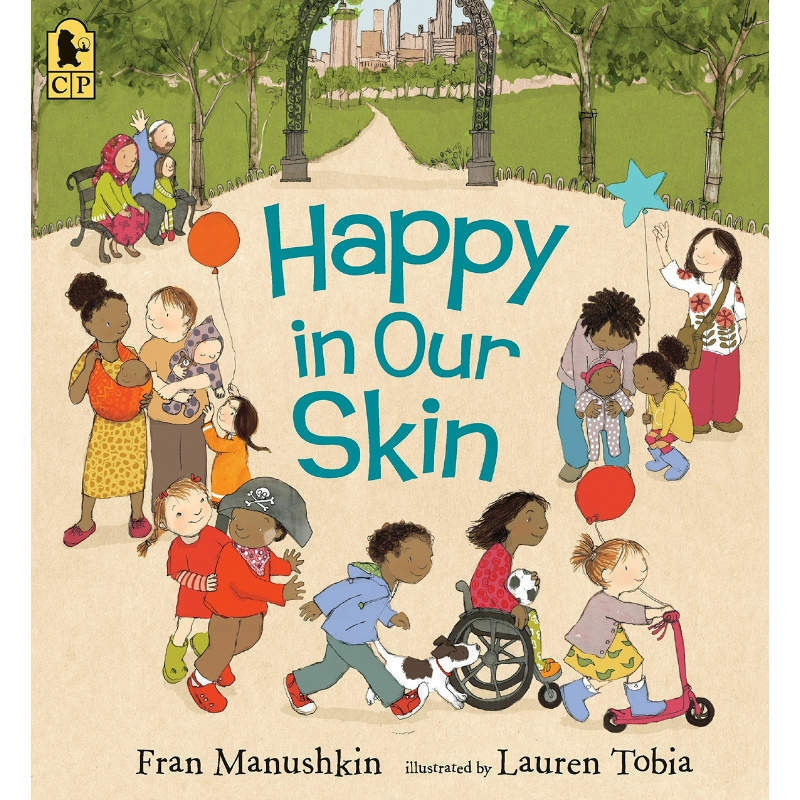 … The simplicity of Yousafzai’s writing and the powerful message she sends, make this book inspirational for all.“―School Library Journal. I have a hold on this at the library and am looking forward to reading it with my girl! …and, a few others to check out! Let me know what you’re reading to your kiddos! And, if you’re looking for more great kids books (on various topics, including less heavy totally cute and funny ones) check out Brightly. They have a bazillion topical roundups and do a great job providing pictures and descriptions of each book on their lists. Happy Reading! MORE AWESOME STUFF FOR KIDDOS HERE!